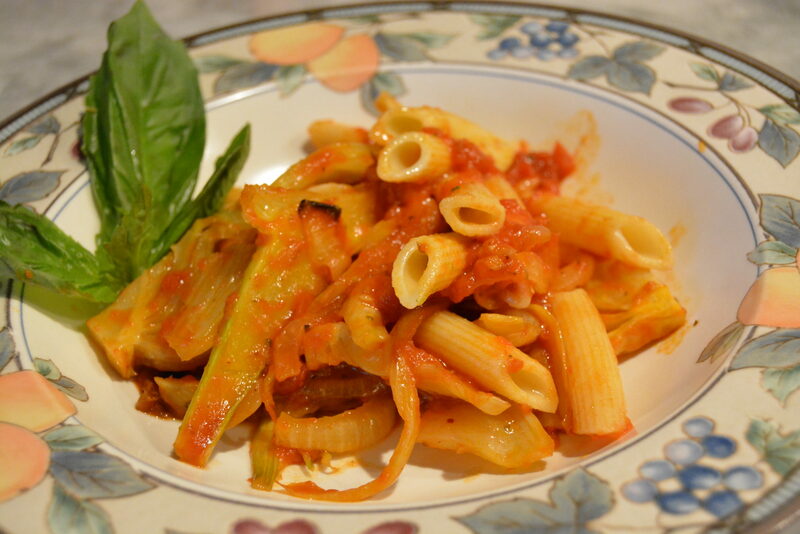 Before 1550, Italian pasta didn’t come with red sauce. 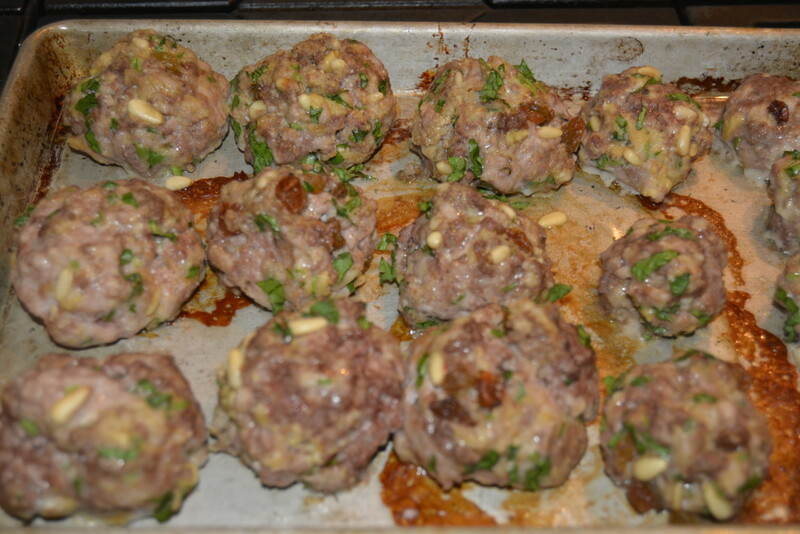 Instead it was prepared with olive oil and herbs. When Spain occupied the kingdom of Naples in the 16th century, they brought the tomato to popularity in the region. 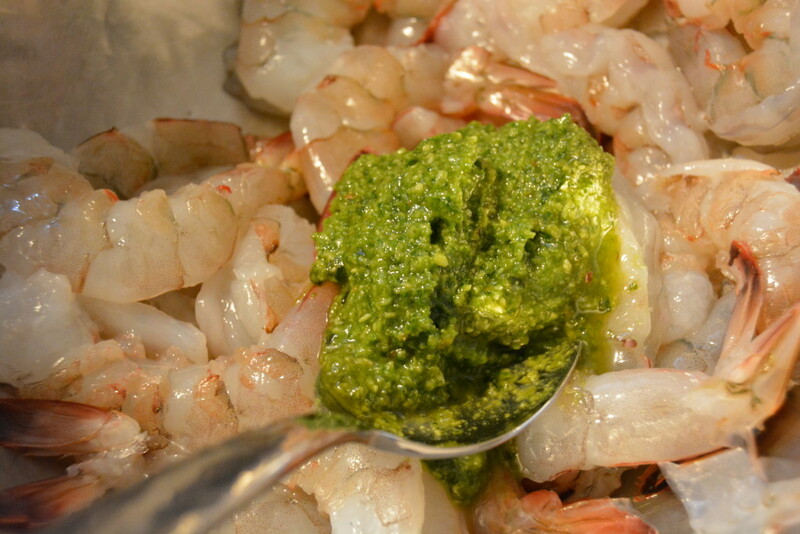 Marinara sauce was developed in Naples, Italy around 1550, nearly 200 years before the rest of Europe. 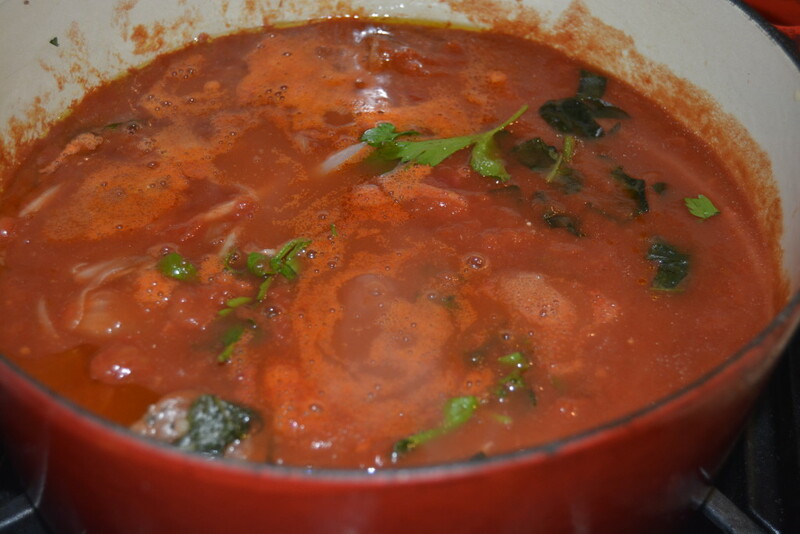 Marinara sauce means sailor type tomato sauce, and it is a basic, versatile tomato sauce. 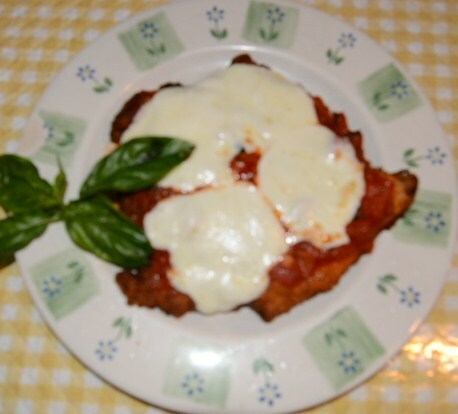 It is said that the sauce was originally developed by the Neapolitan wives of fishermen. After a long day out at sea the fishemen would come home hungry. 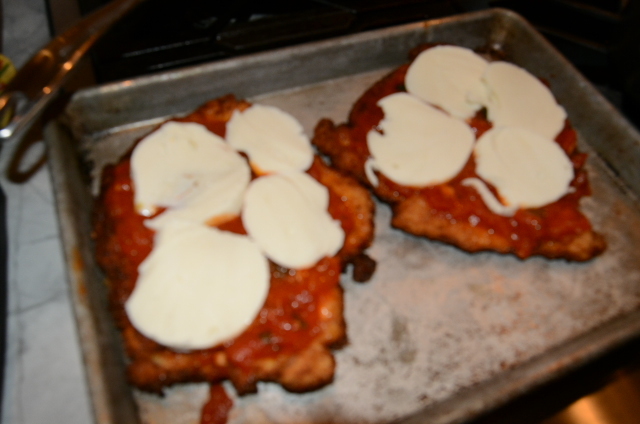 The wives would quickly make a tomato sauce and toss in the catch of the day to flavor it. 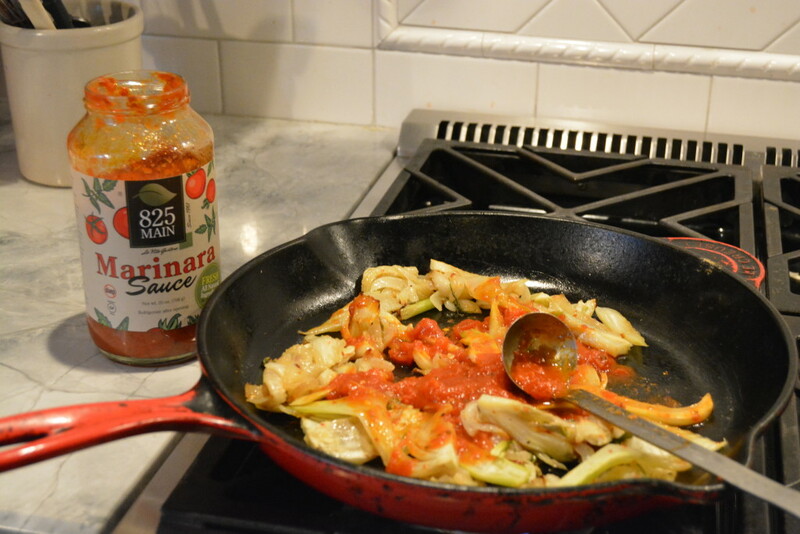 Who better to trust to make a delicious Marinara Sauce but none other than Napolitano’s—aka Neapolitans! 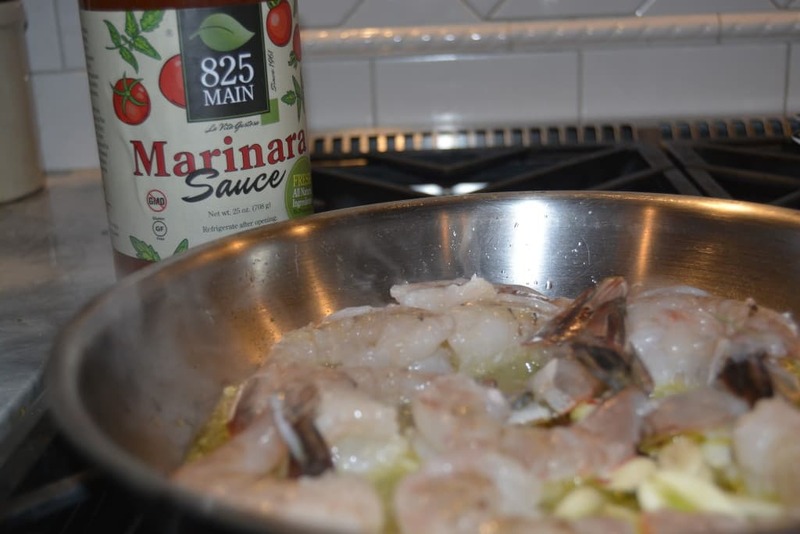 Try one of the following recipes using our versatile 825 MAIN Marinara sauce. 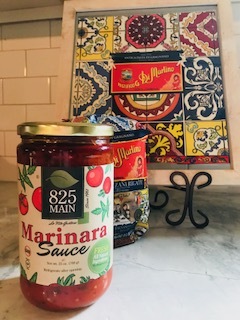 825 MAIN Marinara Sauce meets Dolce e Gabbana! As we were leaving Italy this past spring, after visiting my sister Giovanna, a boutique in the Napoli airport jumped out at me! We got to the airport in plenty of time and as we settled into our gate’s waiting area, I told my husband that I was a going for a walk. I think he was a little worried when he saw that I grabbed my pocket book. I urged him not to worry because I wasn’t buying clothes! I headed towards the most beautifully decorated boutique. Entering the boutique, Dolce e Gabbana spoke to me loud and clear. I patted my side to make sure I had my pocketbook! Just a mere 15 minutes later I lugged a beautiful shopping bag to where Jim was sitting. As he glared at me, I joyfully exclaimed that I bought pasta! I had filled my bag full of Pasta Di Martino! Jim looked at me with a puzzled look on his face. I continued to tell him that there are 4 reasons this pasta is exceptional! 1. The land where the wheat is cultivated. The town of Gragnano is situated where there’s a right mix of wind, sun, and humidity. In the 18th century, the king of Napoli decided that only two places were suitable to cultivate the wheat for the rest of the population: Naples and Gragnano. 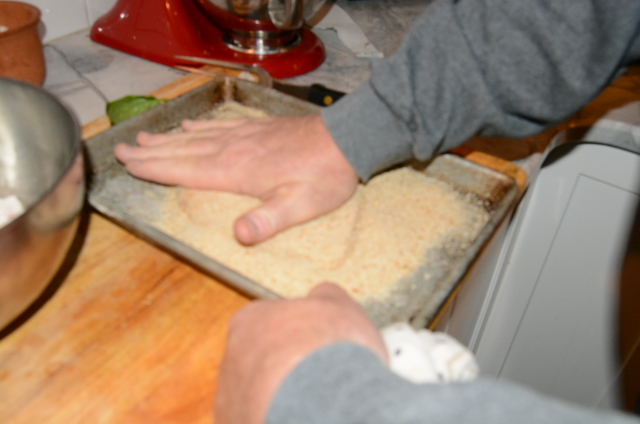 The pasta also must be made by mixing durum wheat with the calcium-poor water of Monti Lattari. 2. 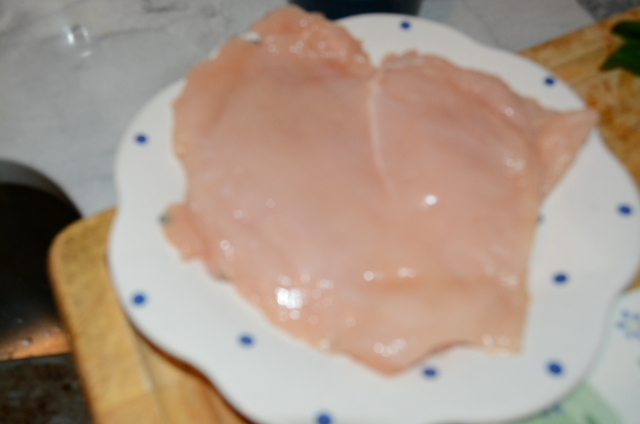 The second reason is the carefully-developed process, which continues to be regulated by a strict standard of production. In 2013, the European Union declared PGI (Protected Geographical Indication): the pasta made under the name “Pasta di Gragnano” must be produced in a legally defined area that still corresponds to the territory indicated by the king of the Napoli about two centuries ago. 3. The dough must be extruded through rough bronze forms and, once it has taken shape, dry at low temperatures in the mountain air. The result of this long and traditional process is one of the finest pastas in the world. This pasta is called Bronze Cut. 4. 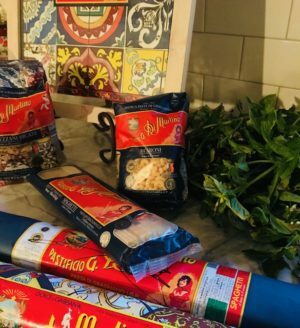 And the last reason and what attracted me to the pasta in the first place is that Dolce e Gabbana ( An Italian luxury fashion house founded in 1985 in Legnano by Italian designers Domenico Dolce and Stefano Gabbana) signed the new look of Di Martino Pasta. A special edition celebrating Italian excellence through colors, symbols and monuments identifying the country. I was feeling all smug and self important explaining all of this to Jim. And then he tells me that this isn’t new to him. Adams Fairacre Farms where he is the grocery manager carries this very pasta. 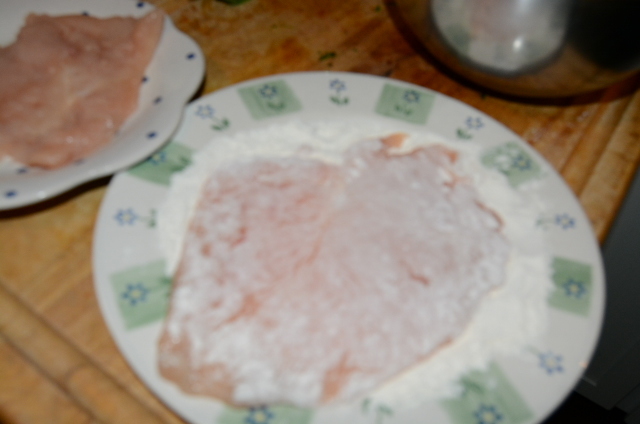 In fact he had spoken to the international buyer for Pasta di Martino at the recent Food show. He actually ordered pasta with the Dolce e Gabbana look to sell at the Wappinger Falls, NY location. I am like, “Say what!! !” “Yes, we sell it at Adams”, Jim answered with his smug, self-important tone. I couldn’t believe it. Adams Fairacre Farms is selling the Di Martino Pasta with the Dolce e Gabbana look. Wow! Not only is it being sold in Neiman Marcus and Bergdoff Goodmans. It is even featured in Vogue magazine. And now it’s available in our very own Hudson Valley at Adams Fairacre Farms, Wappinger Falls, NY! When we arrived home from our trip, I marched myself into Adams to see for myself. There it was! Rows and rows of Pasta Di Martino pasta. So far only the mezzo rigatoni were packaged in the Dolce e Gabbana signed wrappers. I noticed they even have the infamous 24 inch spaghetti wrapped in the original blue paper that the Gragnano pasta was wrapped in hundreds of years ago. No other pasta is wrapped in that way. I am astounded that we have the Crown Jewel of pasta wrapped in Dolce e Gabbana right here in Wappinger Falls and no one even noticed! Right under our very noses!! Like who knew! Now that I have uncovered this gem in the Hudson Valley, you all better hurry in while supplies last! Because I sure did fill my cart at Adams Fairacre Farms in Wappinger Falls, NY!! Love this beautiful pasta!! Can I wear ? 1. 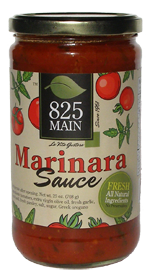 Pour jar of 825 MAIN Marinara Sauce in a sauce pan. 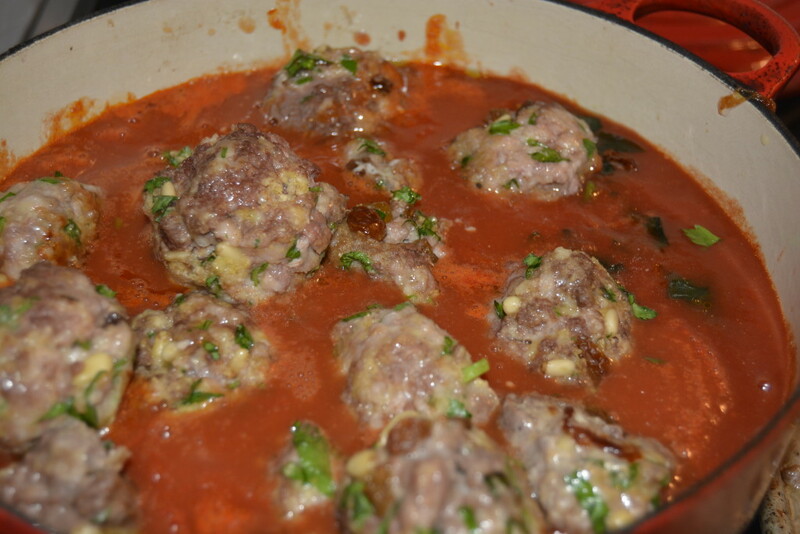 Warm sauce on medium heat. 2. Start a big pot of boiling water. 3. 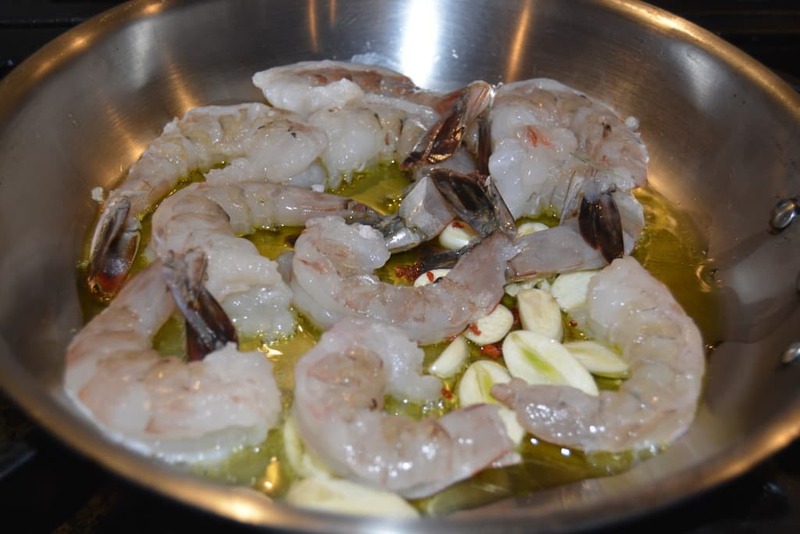 In a saute pan place extra virgin olive oil, sliced garlic, pinch of red pepper, and the shrimp. 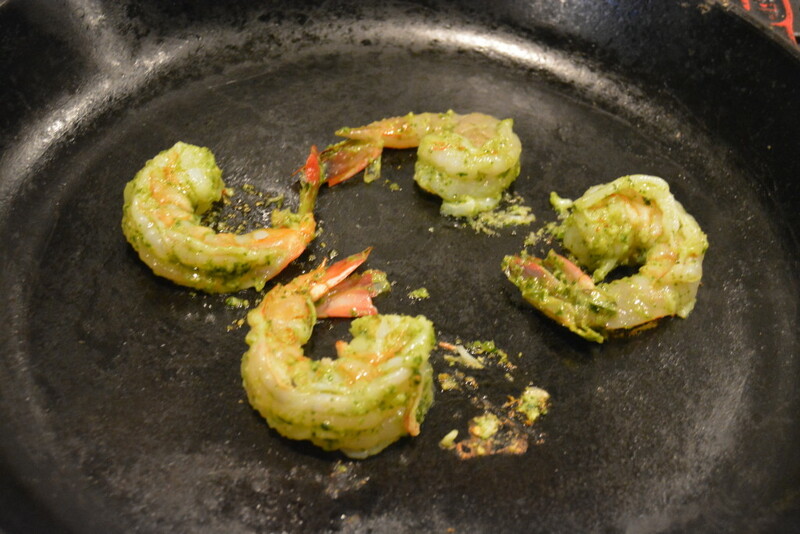 Cook on medium heat until the shrimp turn from opaque to white. Careful not to overcook. 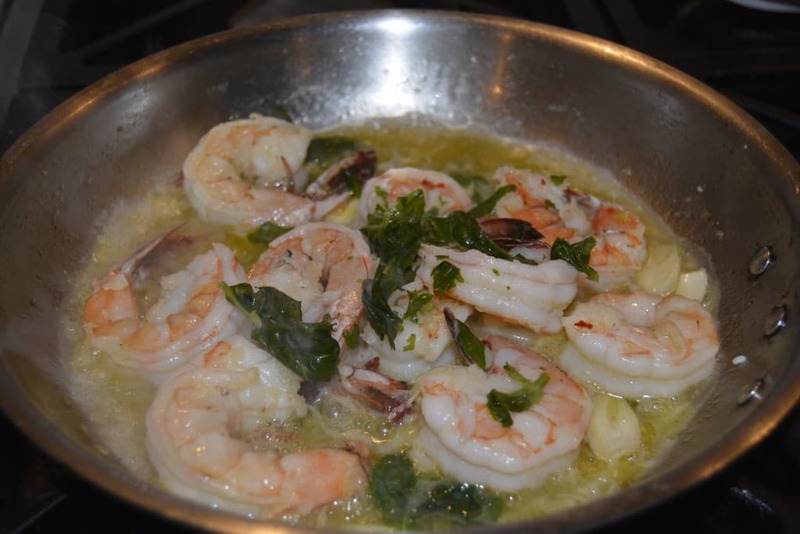 Less is better because you will be finishing cooking the shrimp with the sauce. 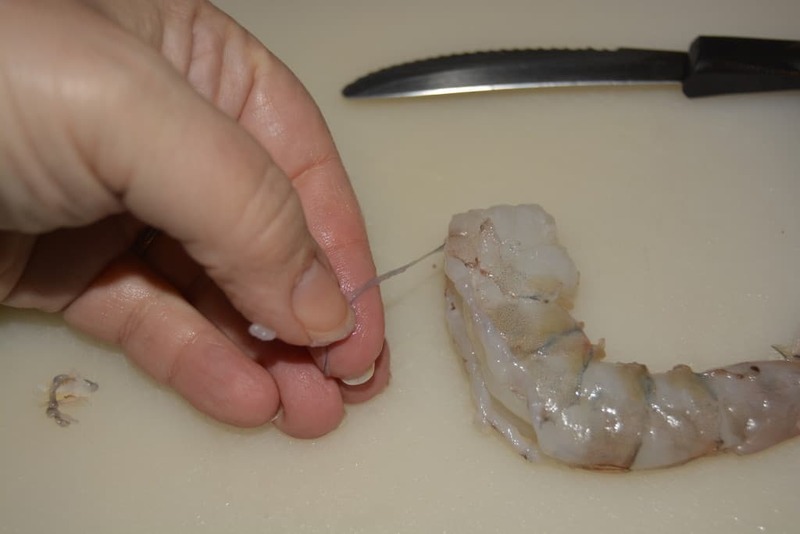 Beware that overcooking makes shrimp tough. 5. 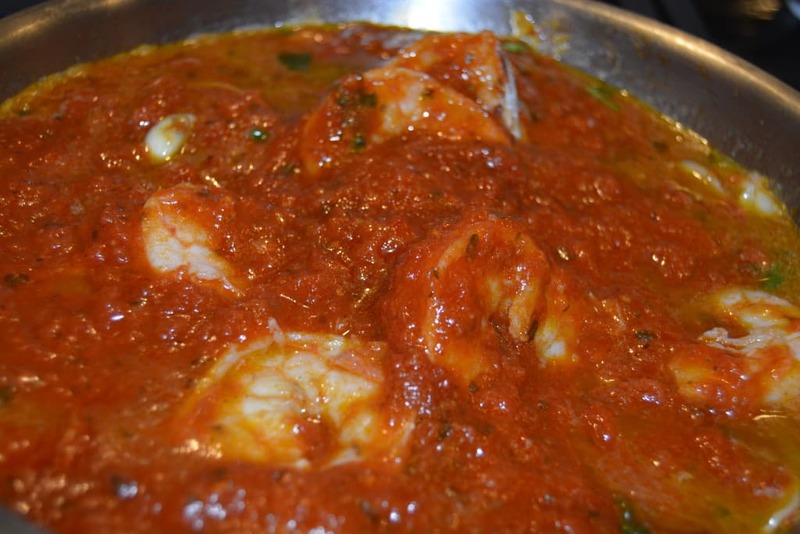 Add the cooked shrimp mixture to warm 825 MAIN Marinara sauce. 6. 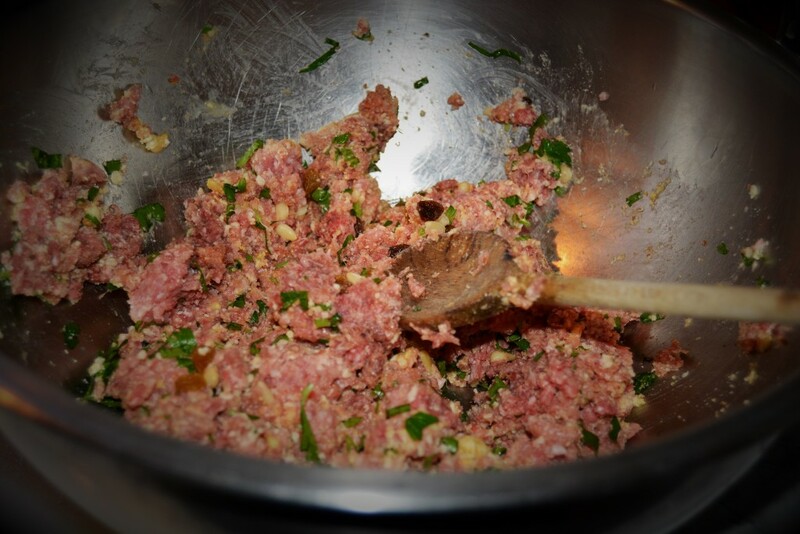 Add broken up pieces of basil. 7. Add spaghetti to big pot of boiling water. No need to break spaghetti. It will fold over as it softens and nudge it down with thongs. Cook it al dente. Strain saving a half cup of pasta water. 8. 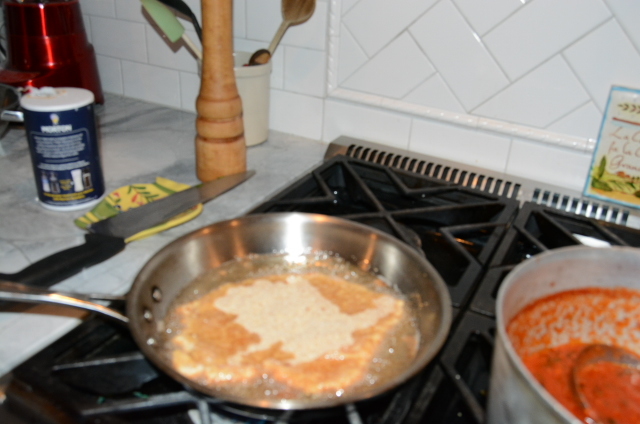 Put strained spaghetti back in pot with the ½ cup of pasta water and a couple of ladles of the shrimp marinara sauce. 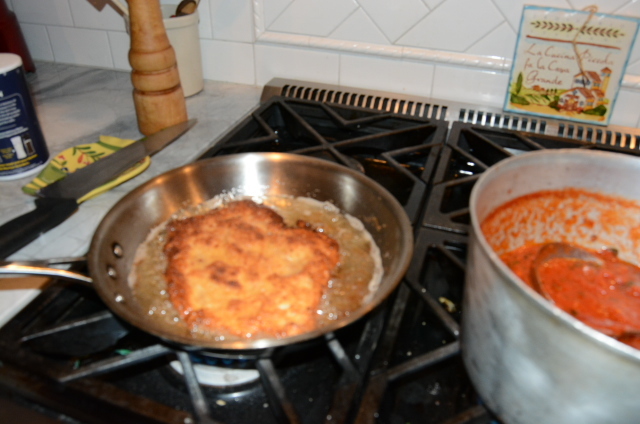 Stir over medium heat until all spaghetti is coated. 9. 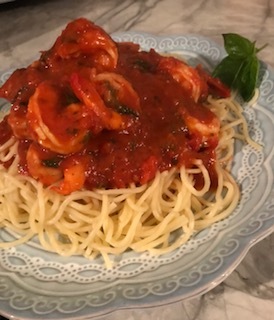 Divide spaghetti amongst the plates and ladle the prepared Shrimp marinara sauce over. 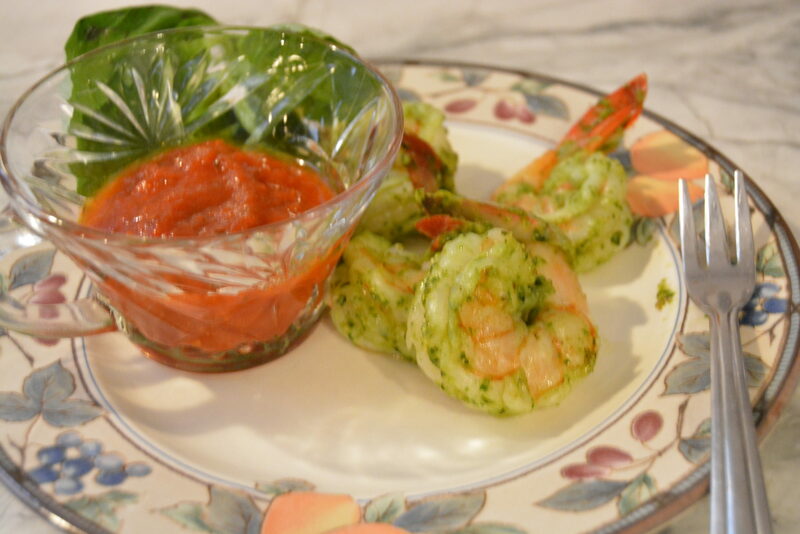 Serve with a leaf of basil on the side of plate. Preheat the oven to 450°F. Combine the fennel, onion, garlic, oil, chili flakes, fennel seeds, salt, and pepper in a roasting dish and roast, tossing once or twice during cooking, for 15 minutes. 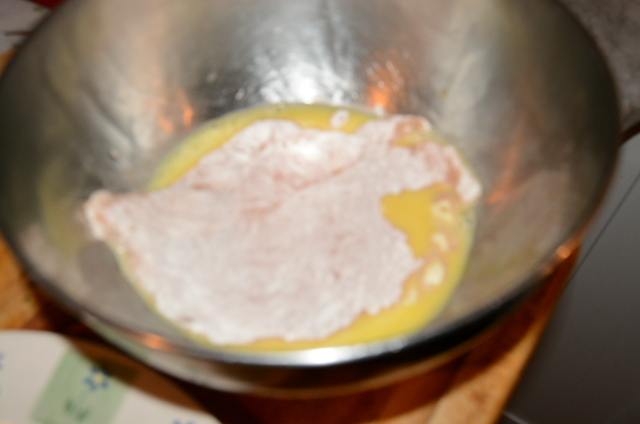 In the meantime, bring a pot of salty water to boil and cook the pasta until al dente. Reserve some pasta cooking water. 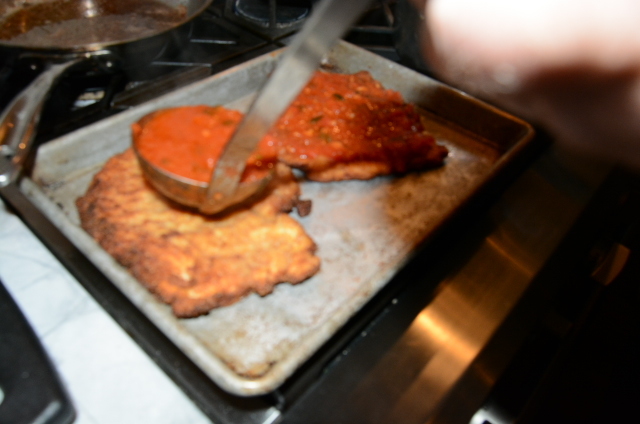 After 15 minutes of roasting, stir in the 825 MAIN Marinara Sauce, combining well. Roast 5 to 10 minutes more, until the fennel is tender and starting to brown. Drain the pasta and toss with the roasted vegetables and Parmesan, adding some pasta cooking water if necessary until the sauce is loosened and coats the pasta. Serve immediately.